Springboard appreciates the opportunity to share our capabilities. 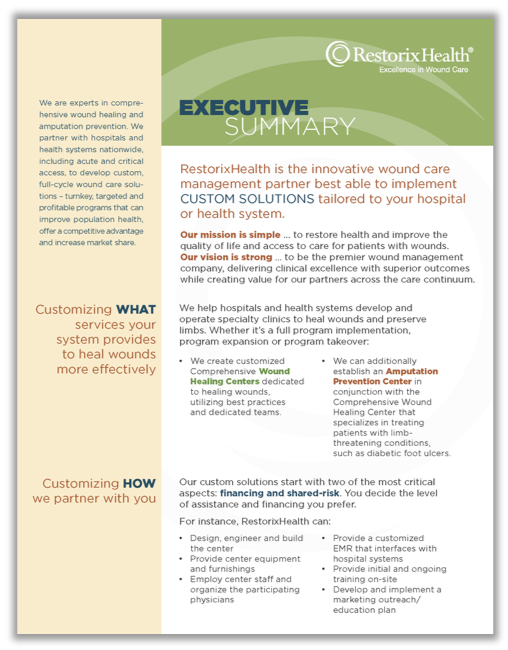 Below you will find very brief case studies of some work we’ve done for healthcare corporations, networks and association clients. Please feel free to navigate around the rest of our website to learn more about how Springboard can help you. 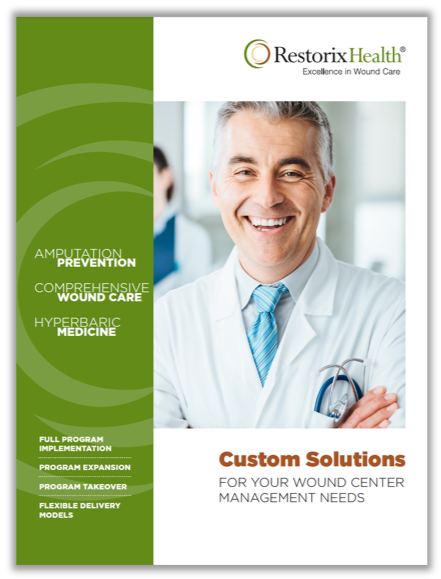 RestorixHealth is a “private-label” wound care management company that competes with a category leader who controls over 60% of the market. 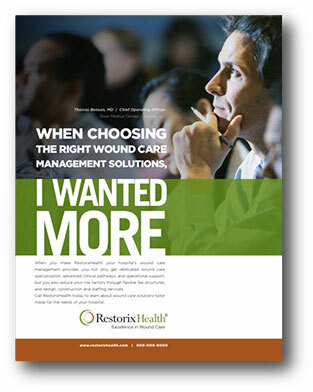 Based on competitive and industry need research, we positioned RestorixHealth as the better option because of its customized solutions and flexibility in partnerships. Our messaging goal was to promote differentiation and benefits to key target groups. 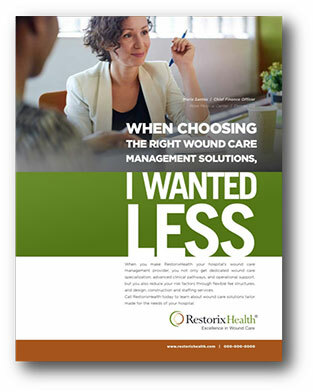 RestorixHealth’s business development team promoted the custom solutions they offer (as opposed to the market leader’s cookie-cutter approach) and their medical expertise. These communications have been used as direct mail pieces, attached to emails and promoted on various social media channels. 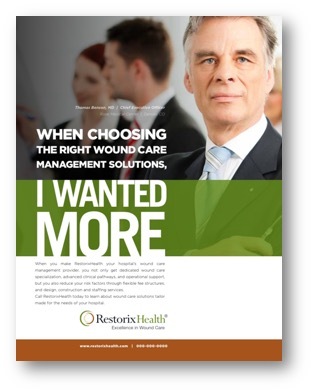 This upcoming campaign promotes what the various hospital C-suite executives want more of (growth, competitive advantage, control) and less of (financial risk). The goal of this campaign is to get the business development team more opportunities, it will be executed through print and digital placement in trade publications and e-newsletters and through direct mail. 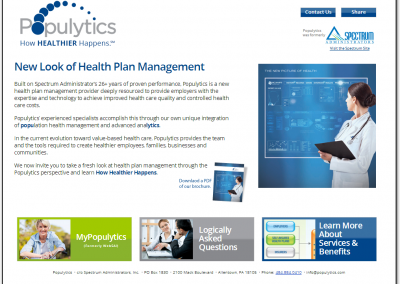 Spectrum Administrators, a full-service third-party administrator (TPA), underwent a significant change in its marketing position from a traditional TPA, to a population health management company. As a result of this shift, it sought out a new, more descriptive, name that would more effectively present the company in this capacity to key audiences. Springboard was asked to help the organization develop a name, identity and tagline based on key information, highly targeted key audiences, as well as the long-term vision of the leadership team. 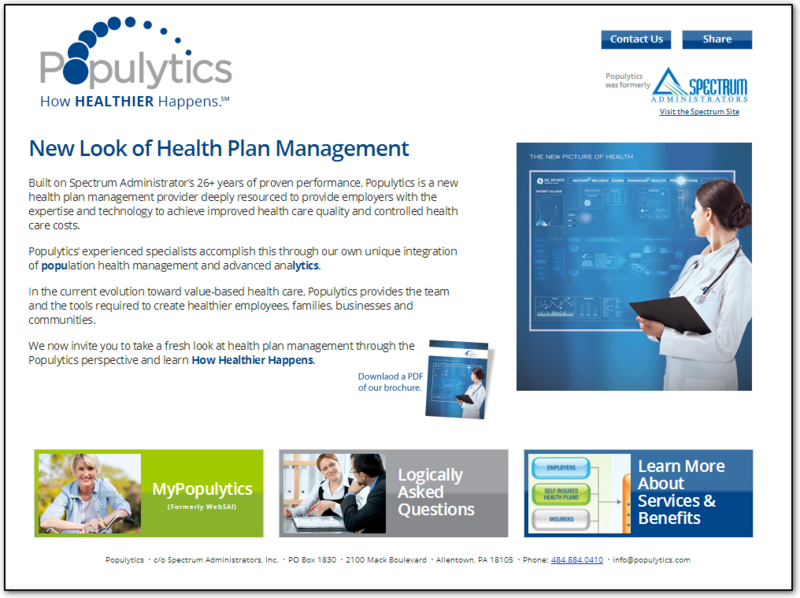 Using research and information from key audiences and the leadership team, Springboard developed the name “Populytics” and a corresponding identity that reflects capabilities in both “full-service” health population and analytics. 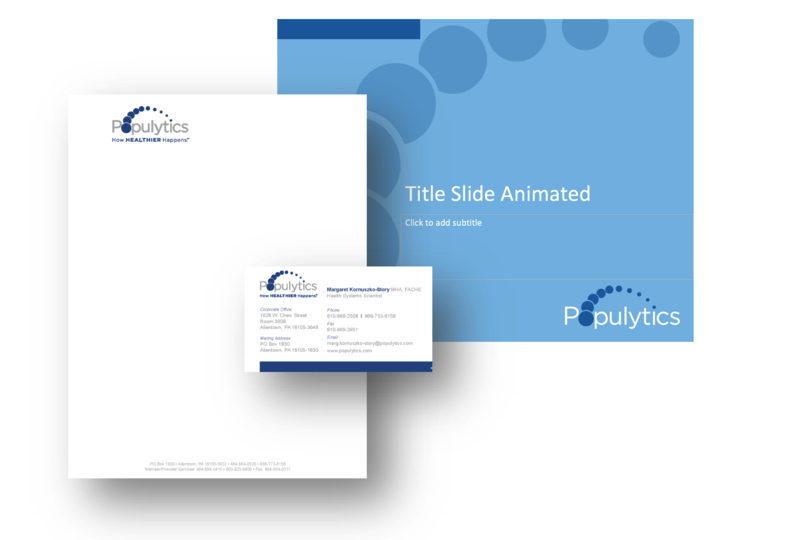 The Populytics company brochure features the new name and identity. 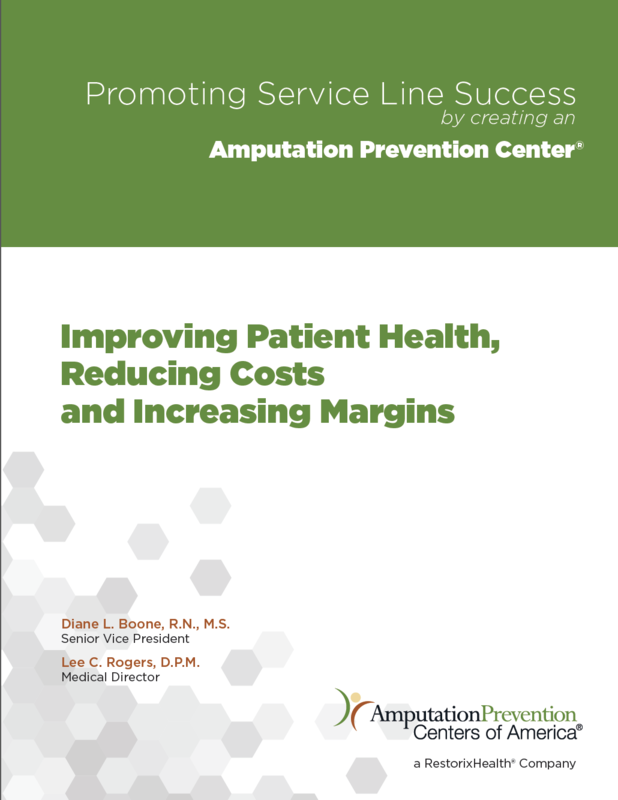 This piece highlights service capabilities and outlines employer/employee benefits. The new name, identity, and position featured on Populytics.com. 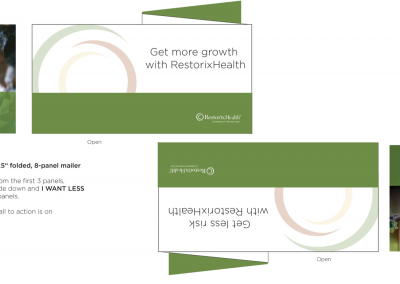 Branded pull-up banners used for various purposes. 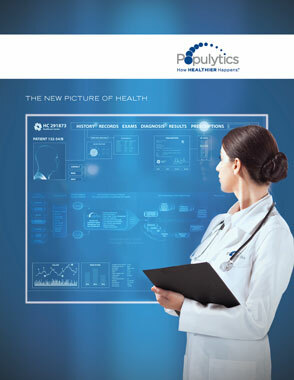 Insight Medical Genetics is a comprehensive genetic testing practice providing personalized counseling and guidance for patients and referring providers. 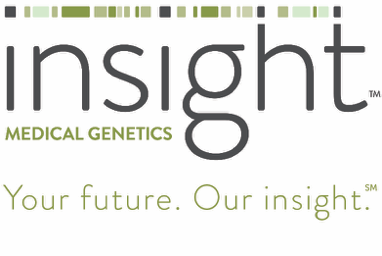 With the expertise of a medical center and the personal touch of a private practice, Insight Medical Genetics provides up-to-date, leading edge testing for genetic conditions with a professionally recognized standard of care. 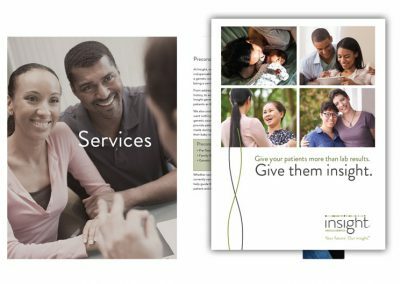 Brand Position: For those who want to be better prepared for their future, Insight Medical Genetics is the leader in genetic medicine that enables a greater understanding and more meaningful decisions about life and health. 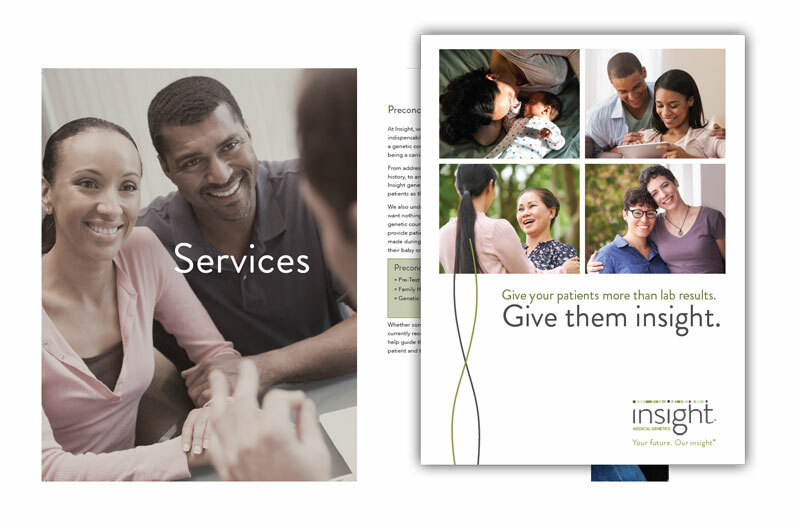 Springboard redesigned Insight Medical Genetics’ current patient education brochures to align with the new brand. 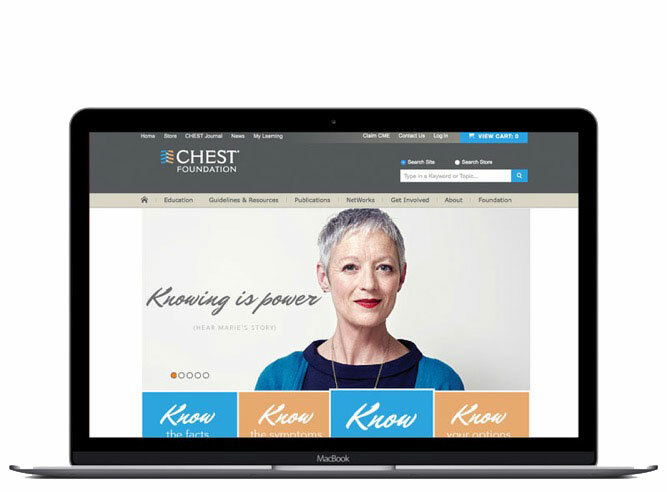 The CHEST Foundation sought to provide information, raise awareness and create change in lung health. 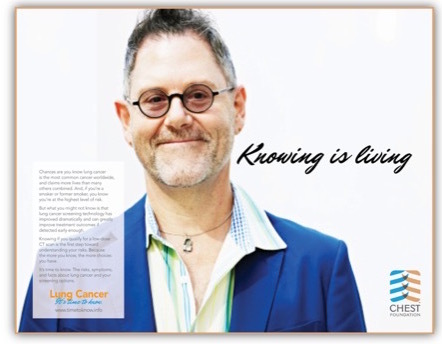 Most people are already aware of the risks of smoking and the dangers of lung cancer. 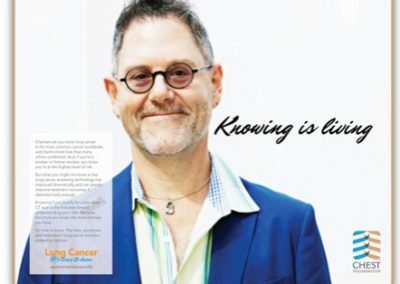 However, they are unlikely to know that new screenings are available to detect lung cancer and the benefits of early detection. The fear of “knowing” was a barrier that needed to be overcome. The Funeral and Memorial Information Council (FAMIC) is an “association of associations” representing all aspects of the funeral industry, from funeral homes and cremation societies to monument builders and casket makers. FAMIC engaged Springboard to help create a logo/identity for the association that represented their mission to provide direct and open information regarding deathcare and memorialization from the leading associations of service providers and businesses. 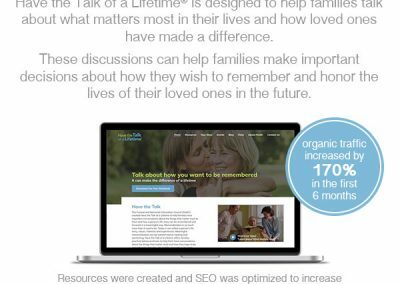 Springboard worked with FAMIC to create “Have the Talk of a Lifetime,” a consumer education outreach effort to urge families to talk with loved ones about life, the things that matter most and how they want to be remembered when they die. The Have the Talk of a Lifetime campaign began as a grassroots campaign. That means that local funeral homes and suppliers throughout the country were provided with marketing tools to share educational materials with consumers in their community. In order to help create positive momentum for the industry, the marketing tools were developed and distributed to the members via DVD and online. Member participation in the Have the Talk of a Lifetime campaign is helping people in their communities discover unique life stories of the people who matter most to them. 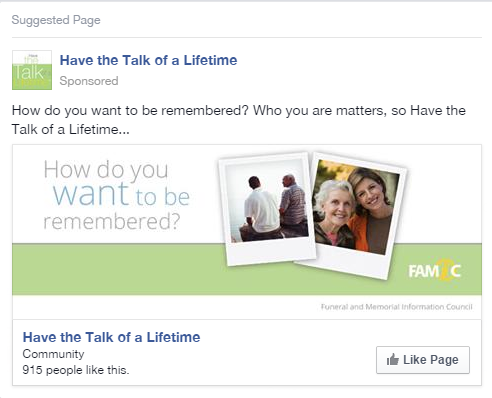 These discussions can help families and friends make important decisions about how they wish to remember and honor the lives of their loved ones through meaningful memorialization and understand the important role that funeral professionals (members of FAMIC organizations) play in the memorialization process. Content strategy that focused on enhancing lead generation to help track ROI. 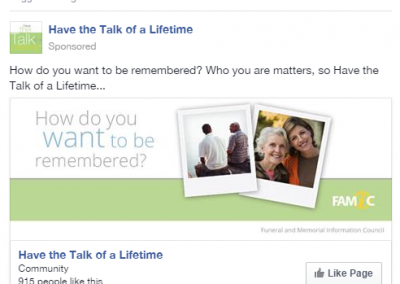 An ongoing Facebook Like campaign has dramatically increased Have the Talk of a Lifetime’s Facebook presence and reach. 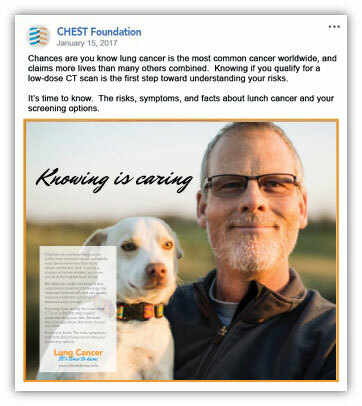 A series of banner ads were developed to drive consumers to Have the Talk of a Lifetime, by having them download a brochure from the landing page. 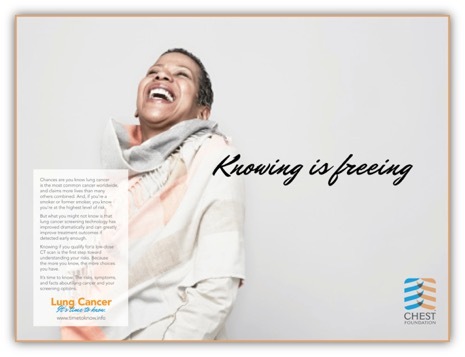 Springboard Brand & Creative Strategy is a national healthcare branding and communications firm which partners with leading organizations including hospitals, health systems, associations, and product manufacturers to tell their stories. With a focus on health-related products and services, we help people make smarter, better decisions about their healthcare, wellness, and wellbeing. ©2019 Springboard Brand & Creative Strategy. All rights reserved.